Started by taping some wax paper to the table, and then added epoxy to the first layer of BID (Bi-directional) fiberglass cloth. Wetted it out, stippling out any air bubbles with a 2″ paint brush. Repeated the process for a total of six layers. 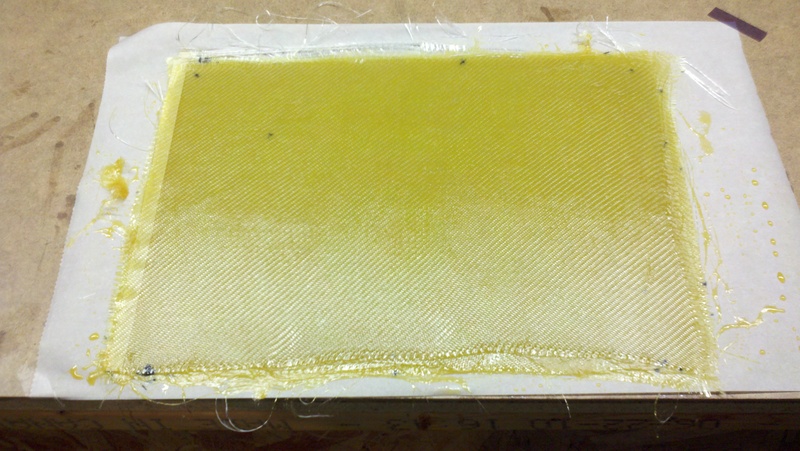 I believe I got the cloth complete to the correct wetness, and without air bubbles. Time will tell to see after it cures and I can cut and weigh the piece. This piece took a little longer than the published 4 hrs for curing to the “tacky” finish for knife trimming. 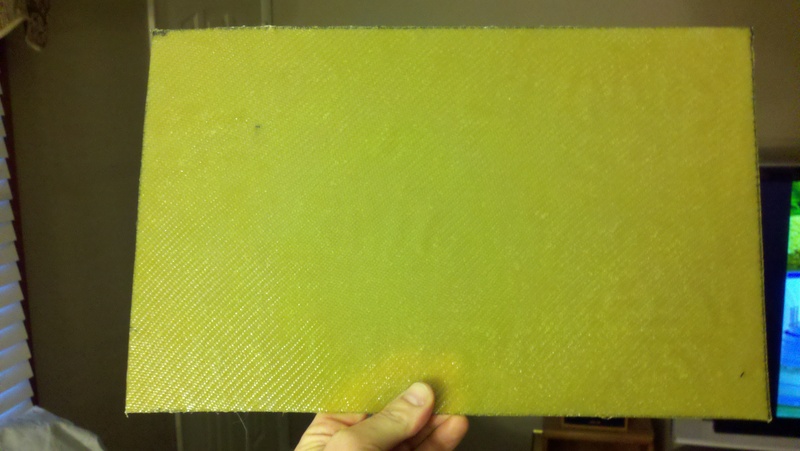 (Closer to 5-6) At that point, I trimmed to the 10″ x 16″ size and left overnight for curing. The next day I weighed the piece @ 11 1/2 oz, with no air bubbles and all fibers nice and straight. I was a little on the wide side on my cutting, so would have been slightly lighter given that.